Olive Tree Genealogy Blog: Budget Cuts Affect Archives - Sign the Petition! Budget Cuts Affect Archives - Sign the Petition! On April 30, 2012 Library and Archives Canada (LAC) eliminated the National Archival Development Program (NADP), a $1.7 million contribution program administered by the not-for-profit Canadian Council of Archives (CCA) and distributed to Canada's 13 archives councils to support archival activities locally. NADP funding ensures that Canada's documentary heritage is both preserved in local communities and made available to the broader researching public. "7(f) to support the development of the library and archival communities", as well as compromising the role of the Librarian and Archivist of Canada to "8 (i) provide professional, technical and financial support to those involved in the preservation and promotion of the documentary heritage and in providing access to it." government's plans to make changes to Library and Archives Canada and wondering how this is going to affect genealogical research. I haven't seen it much discussed, and wondered if you have any thoughts about it. Here is one recent story, from the Tyee News. 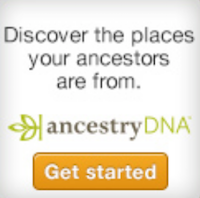 I can't see how this is not going to affect people researching their family history. I think the writer is correct. Genealogists are going to be adversely impacted by these cutbacks. Can we do anything about it? I'm not hopeful but I have signed the online petition and written to my local MP. For those who may have missed this - Parks Canada and other Federal employees have been ordered not to criticize the government or discuss these budget cuts with anyone. The official letter states, in part, that they are being reminded of their "obligations regarding public expression, whether through the media (including social media), large meetings or in other forums"
So now we have budget cuts being made that will adversely affect Canadians and others seeking historical or genealogical information, and Federal employees are being hit with what amounts to a gag order. I understand loyalty to one's employer but what about freedom of expression? What are your thoughts on this? Do you have suggestions on the best way to express support for the Archives and the NADP? I think it's very sad that there are only 6,000 signatures on the petition. Is this our typical Canadian apathy hitting us in the face? I am quite convinced that there are more than 6,000 genealogists and historians in Canada who will be affected by these cuts. American friends - you can sign the petition too! I know that many of you have Canadian roots. So please take a moment to add your name to the 6,000. Signed. Thanks for the heads up! Are you a Genealogist on Facebook? Why Do We Do Genealogy? WW1 Soldier's Pocket Watch Found in Michigan!